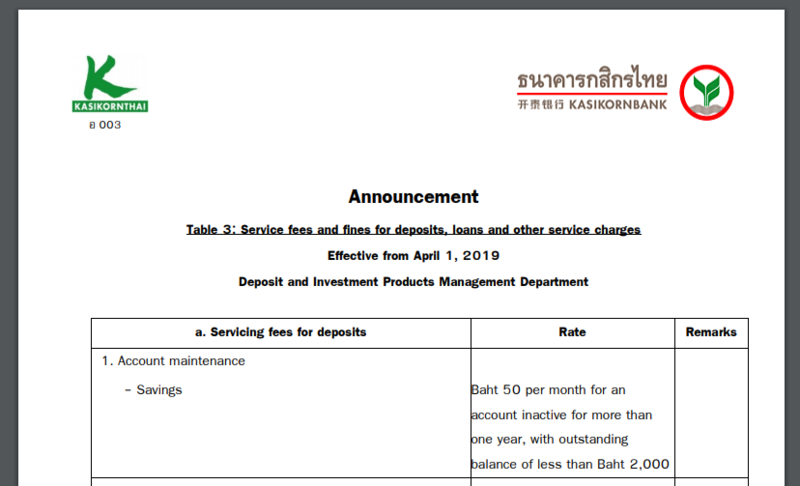 I left Thailand in March 2018 with an active Kasikorn "normal" bank account. When we will be back to Thailand after 18 months, will the account still be open and usable? Usually if there's no activity for one year, which means there haven't been any transactions, they will designate it as an inactive account and freeze it. They will send you a letter confirming this. To make it active again you have to go to the bank. I had an account a while back that was inactive but I couldn't even activate it again through the online banking app by trying to make a transaction. I had to go to the branch with my bank book and passport. Yes, it depends if there was a balance or not. Banks charge the annual fee here. If the account reached zero then it is most likely closed. than there is no fee, and the account will be active even if you come back after 20 years. Scorecard, mate, buddy ! After 17,000 posts you are asking. thought by now you would have been able to work it out. 1. Kasikorn might have slightly better info on the subject than here. 2. Sarcasm. Sorry, it's part of my DNA, I can't help. Why mention that you went to France with your wife ? What relevance to the question ? 2﻿. Sarcasm. Sorry, it's part of my DNA, I can't help. Why mention that you went to France with your wife ? What relevance to the question ?